The Caroline County Agricultural Fair Association, a non-profit organization, is proud to offer one scholarship in the amount of $500 to a graduating high school senior of Caroline High School who is pursuing further studies in a career and technical education field, i.e., culinary arts, automotive technology, nursing, sports medicine, criminal justice, cosmetology, agriculture, carpentry, architecture, engineering and technical drawing. Applications can be found in the main office. Deadline April 1, 2019. Must be a senior planning to attend a four year college, community college, junior college, or technical/career school. One $4000, Two $1000, Ten $500 available. Log onto www.student-view.com. Deadline April 22, 2019. Delta Sigma Theta Sorority, Inc. is a service organization composed of predominantly Black college-educated women. The sorority annually awards scholarships to students in their service area (Caroline, Fredericksburg, Stafford, Spotsylvania, King George). The application requires letters of recommendation, transcript, test scores, essay, and an in-person interview. Deadline March 22, 2019. Applications in main office. To be eligible you must be a Jr or Sr and have a 2.5 GPA. Over 35,000 dollars to awarded! Offers four $1200.00 scholarships for four outstanding African-American students. Offers $1200.00 to a student majoring in Education and a student attending a student attending a Historical Black College/University. Attention Seniors: The Fredericksburg Area Fellowship of Christian Athletes Scholarship is a local scholarship for Caroline Students. The deadline has been extended through February 15! The University of Mary Washington has taken another step to help furloughed federal employees, by waiving admissions application fees for those affected by the government shutdown. Impacted families considering applying for admission to UMW can skip the $50 fee by using the waiver code “UMW66” when they complete the form online at umw.edu/apply. Student dependents of federal workers and federal contractors affected by the government shutdown can apply with a fee waiver by following the instructions below. 1. On the last tab of your Common Application, in the Profile Section, click Common App Fee Waiver, and then select the last option: "I can provide a supporting statement from a school official, college access counselor, financial aid officer, or community leader". 2. In the Writing Section, click Additional Information, and then select "Yes" under the question "Do you wish to provide details of circumstances or qualifications not reflected in the application?" Then, in the text editor, enter the name of the parent's employer affected by the federal government shutdown. March 9th, 2019: Registration deadline is February 8th. Late registration (with fee, unless using waiver) closes on February 27th. May 4th, 2019: Registration deadline is April 5th. Late registration closes on April 24th. June 1st, 2019: Registration deadline is May 3rd. Late registration closes on May 22nd. College Night will be held on March 12th from 5:30 to 7:30pm. The event will include an information session concerning college admissions, financial aid, and more. We will also welcome speakers from Virginia Tech and Mary Washington admissions. Pizza will be provided. This event is open to Junior and Senior students and parents. More information will be released soon. Remember to submit your FAFSA soon! The application can be found at fafsa.gov. You should file for 2019-2020 and use information from 2017 tax returns. Remember, you must file the FAFSA in order to receive grants (money that doesn't have to be paid back) as well as federal student loans. 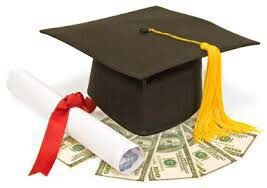 It is highly recommended that you utilize federal student loans before seeking a loan from a bank. Be on the lookout for any emails from college financial aid offices. In some cases, you may be selected for a process called verification. In this situation, you must request a tax transcript directly from the IRS. These requests can be made at https://www.irs.gov/individuals/get-transcript. Ms. Taylor is sponsoring a gift card drawing for those who submit the FAFSA. You must notify Ms. Taylor (kataylor@ccps.us) when you have submitted. The winner will be announced during the first week of March. If you submitted your FAFSA, you will soon be hearing from colleges about your aid packages. Schedule an appointment with Ms. Taylor for assistance with interpreting these documents. Make sure you fully understand your financial aid before accepting any loans!